At last, we have a picture that just might get me in the bag-suit out of 'Shop Contest jail. At E3 this week, our boss man went for a spin in a Ferrari, with an expression that suggested something less than all-out delight. Maybe it's because he knew this would be fodder for our latest contest. Do your worst! The obscured driver means you'll need to think a little creatively—probably rates about a 6 or 7 on the exploitable scale. But Stephen Totilo's expression is priceless and can factor into a great 'Shop with or without the car. It really doesn't need much more introduction than this, so I'll give you the source image and get the hell out the way. 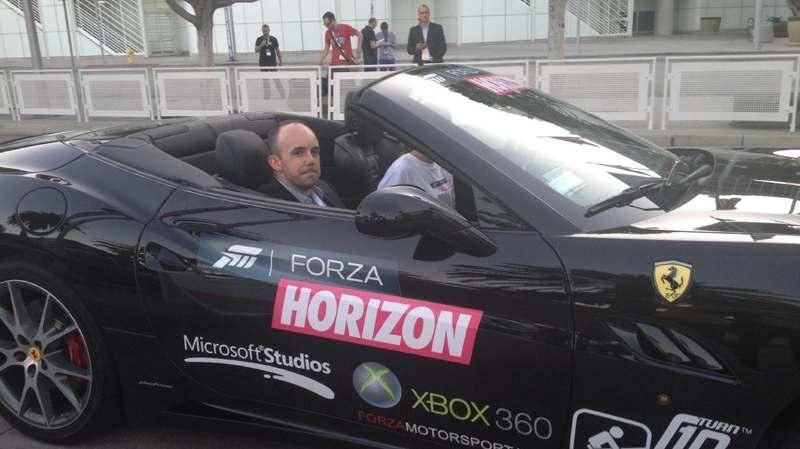 Source Image: Kotaku editor-in-chief Stephen Totilo aboard a Ferrari at E3.